Phase I of the Space Ambassadors program, designed as a global grassroots effort to inspire, educate, and communicate the daily life benefits of space exploration and research, has been concluded. The program saw over 900 volunteers sign up to be Space Ambassadors. During Phase I, we reached over 31,000 people worldwide. Over 59% of the presentations were given to audiences of 50 or fewer people. The National Space Society would like to thank our program sponsors and all the Space Ambassadors who participated in the program – your hard work was very effective and much appreciated. The winners of the awards for Phase I were chosen at ISDC 2016 in Puerto Rico. In accordance with the rules for that program, each ambassador in the database was credited with one point for each person attending their presentations, and one additional point for each member of their audience who joined the National Space Society as a result of their presentations. After a thorough attendance verification process, and based on the total number of points accumulated, the top ten Space Ambassadors were selected as finalists and invited to present an example of their work to a panel of judges, composed of NSS leaders, at ISDC 2016. Those Space Ambassador finalists who were unable to attend the ISDC were given the option to give their presentation live, but remotely over the phone, or to record their presentation for viewing by the judges. All presenters were then given the opportunity to answer questions from the judges. Questions were posed over the telephone for those not physically present. The judges considered the quality, enthusiasm projected, the ability to engage the audience, audience response, and the ability to create passion and inspiration during the presentations.This presentation evaluation, combined with each finalist’s total contributions to the program, were used to establish the finalist rankings. The National Space Society intends to examine the lessons we have learned from Phase I to help determine the nature of a possible Phase II to the program. Updates will be announced on this website and in NSS Downlink. Sponsor: Aurora Aerospace provides weightless flight experiences to the public out of the St. Petersburg Clearwater airport near Tampa, Florida. Aurora Aerospace can be contacted at 813-476-2321 for additional information. 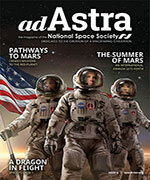 Award Winner: Aurora Aerospace provided two awards to the Space Ambassadors program. The winners of these awards were Jeff Smith of Colorado Springs, Colorado and Chuck Schlemm of Burns, Tennessee. Jeff and Chuck will experience a flight consisting of a minimum of 12 parabolas in an Aurora Aerospace Rockwell 700 aircraft. Each parabola offers several seconds of zero-g conditions for Jeff and Chuck. 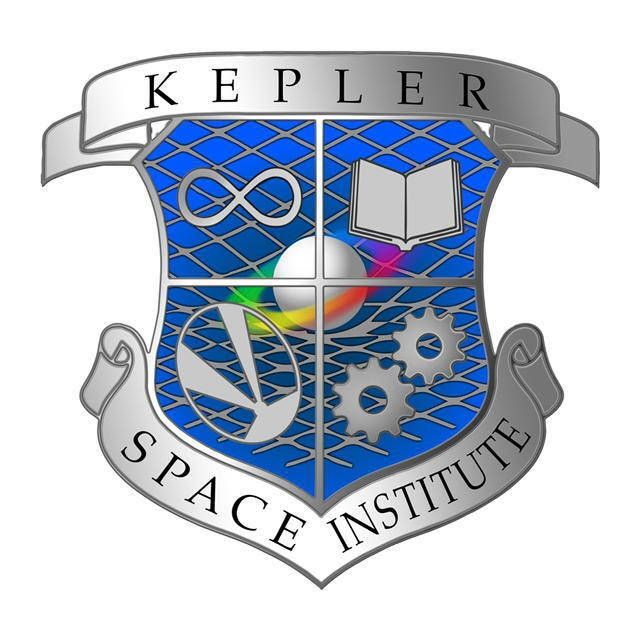 Sponsor: The Kepler Space Institute is constructing a varied space curriculum through their global, online space university to provide students with a comprehensive education to allow them to support the research, exploration, and development of space resources. 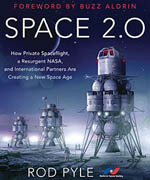 See the KSI website, www.keplerspaceinstitute.com for more information. 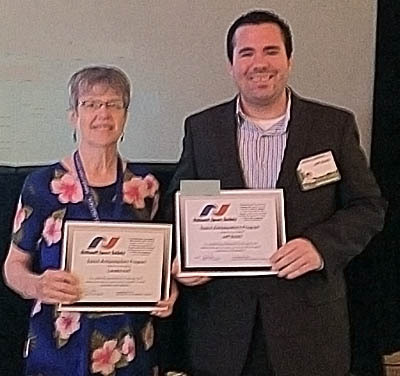 Award Winner: The KSI award, a non-expiring, $5,000 scholarship usable for any part of the KSI curriculum, was awarded to Stevan Akerley of Durham, Connecticut. Sponsor: The Environmental Tectonics Corporation’s National Aerospace Training and Research (NASTAR) Center provides air and space training, research, and education to both military clients and the public, operating out of their headquarters in Southhampton, Pennsylvania. See their website, www.nastarcenter.com, for a description of the types of training offered and reservation information. Award Winner: The NASTAR Center Award went to Loretta Hall of Albuquerque, New Mexico. Loretta will take the NASTAR Basic Suborbital Space Training Program, a comprehensive 2-day program of training for space flight, to include centrifuge training. Sponsor: The ZERO-G Corporation provides weightless flight experiences to the public at various locations around the country. See their website, www.gozerog.com, for additional information including the schedule of flights and reservation information. Award Winner: The Space Ambassadors ZERO-G Corporation Award went to Eryn Beisner of Friendswood, Texas. Eryn will participate in a ZERO-G Experience consisting of a minimum of 15 parabolas in ZERO-G’s Boeing 727. Each parabola offers several seconds of zero-g conditions for Eryn and others on the aircraft.